- Gefunden werden sollen flexible und geeignete Lösungen, die garantieren, dass die Sammlung des Wikinger Zeitalters auch für zukünftige Generationen erhalten bleibt und auf ansprechende Weise einem breiten Publikum präsentiert wird. - Angestrebt wird ein inhaltlich breitgefächertes und ein formal funktionales Museum, das die kulturhistorischen und architektonischen Werte mit den bestehenden Gebäuden und Außenanlagen verbindet. - Die entstehende Architektur muss von hoher Qualität sein und in ihrer Ausdrucksform die Bedeutung des Gebäudes widerspiegeln. - Die Herausforderungen aus stadtplanerischer Perspektive (Straßenverkehr, Parken, öffentliche Ankunftsbereiche, Berücksichtigung von Kulturdenkmälern etc.) müssen erkannt und entsprechend berücksichtigt werden. - Erwünscht werden Lösungen, die die Kriterien der Nachhaltigkeit einbeziehen. 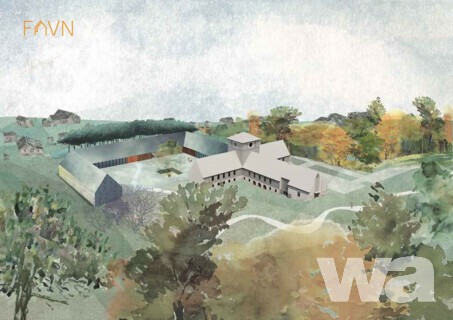 The Ministry of Education and Research has assigned The Directorate of Public Construction and Property the task of starting the work associated with the sketch project for expansion and new construction for the Viking Age collection at Bygdøy. The aim is to realise an expanded and upgraded museum facility, i.e. 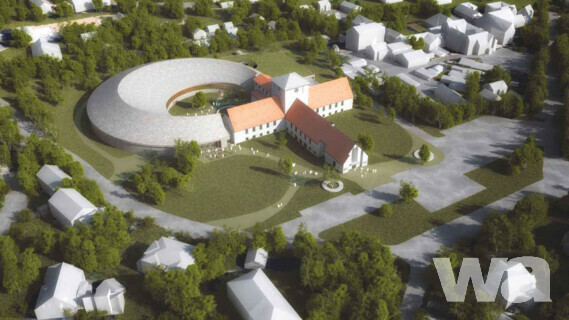 a new Viking Age Museum.The total size of the building will be 13.000 m2 and 9.300 m2 will come from new building. A solution proposal shall be prepared for a new museum facility and exhibition concept that maintains requirements, goals and visions that are specified in the tender programme with attachments. 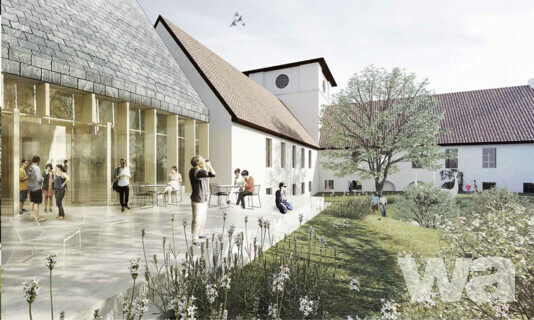 Kunnskapsdepartementet (The Ministry of Education and Research) (KD) has assigned The Directorate of Public Construction and Property the task of starting the work associated with the sketch project for expansion and new construction for the Viking Age collection at Bygdøy. 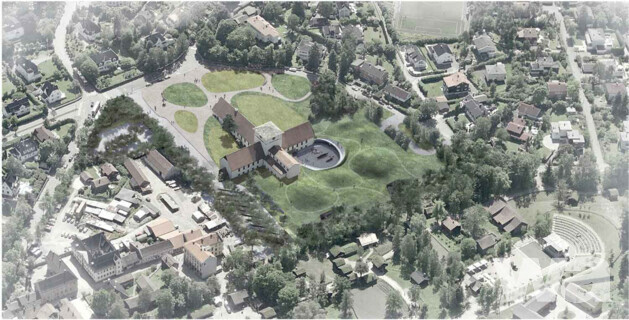 The aim is to realise an expanded and upgraded museum facility, i.e. 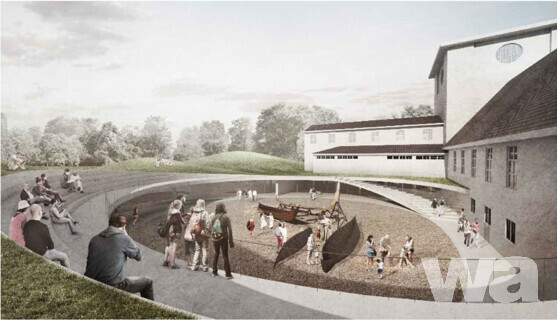 a new Viking Age Museum. An open planning and design competition will be held for architects and landscape architects with an approved exam in accordance with EU's profession directive. A solution proposal shall be prepared for a new museum facility and exhibition concept that maintains requirements, goals and visions that are specified in the tender programme with attachments. The solutions must be suitable for further adaptation and development and facilitate for: flexible and appropriate solutions which will see the museum able to secure and preserve the viking age collection for future generation in a museum appropriate professional manner, and which will create good viewing conditions for a large audience; a comprehensive and functional museum facility which safeguards culturally historic and architectural values connected to the existing buildings and outdoor areas; architectural quality and expression that reflects the importance of the facility; a museum facility that recognises and responds to the planning challenges in the area (traffic deviation/parking, public arrivals, cultural monument consideration etc. ); good environmental solutions that facilitate limiting the museum facility’s total environmental impact. The Directorate of Public Construction and Property will invite the competition entrants who have submitted winning proposals in the planning and design competition, to negotiations on signing a contract for engineering design after the completed design contest, ref. The Public Procurement Regulations § 14-4, letter i). The Assignment that The Ministry of Education and Research has given The Directorate of Public Construction and Property, will initially run until the sketch project is finished. The engineering design project will run after the planning and design competition has been carried out and will therefore include the sketch engineering design with options on the preliminary phase and the detailed project phase including follow up in the construction phase and claims phase. The contract will also comprise an option on engineering design of user equipment, as well as an option on assistance to the museum's exhibition project. 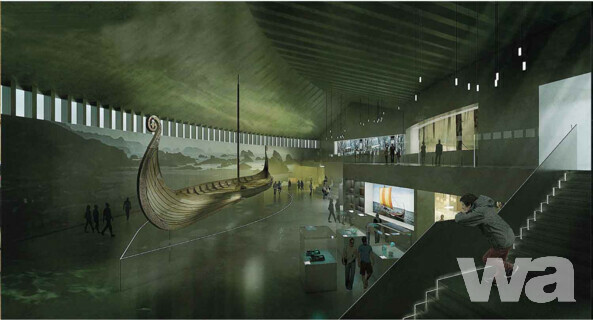 II.1.1) Title attributed to the design contest/project by the contracting authority/entity: 1011301 The Viking Age Museum. II.1.2) Short description: Kunnskapsdepartementet (The Ministry of Education and Research) (KD) has assigned The Directorate of Public Construction and Property the task of starting the work associated with the sketch project for expansion and new construction for the Viking Age collection at Bygdøy. The aim is to realise an expanded and upgraded museum facility, i.e. 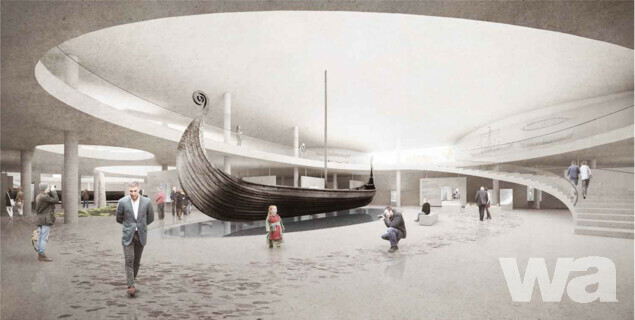 a new Viking Age Museum. An open planning and design competition will be held for architects and landscape architects with an approved exam in accordance with EU's profession directive. A solution proposal shall be prepared for a new museum facility and exhibition concept that maintains requirements, goals and visions that are specified in the tender programme with attachments. The solutions must be suitable for further adaptation and development and facilitate for: flexible and appropriate solutions which will see the museum able to secure and preserve the viking age collection for future generation in a museum appropriate professional manner, and which will create good viewing conditions for a large audience; a comprehensive and functional museum facility which safeguards culturally historic and architectural values connected to the existing buildings and outdoor areas; architectural quality and expression that reflects the importance of the facility; a museum facility that recognises and responds to the planning challenges in the area (traffic deviation/parking, public arrivals, cultural monument consideration etc. 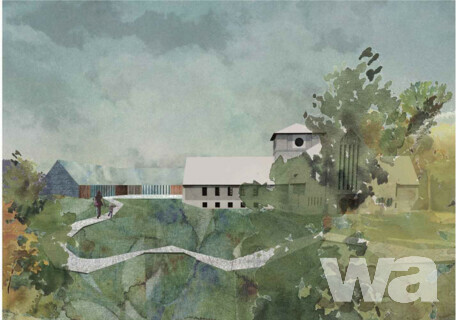 ); good environmental solutions that facilitate limiting the museum facility's total environmental impact. The Assignment that The Ministry of Education and Research has given The Directorate of Public Construction and Property, will initially run until the sketch project is finished. The engineering design project will run after the planning and design competition has been carried out and will therefore include the sketch engineering design with options on the preliminary phase and the detailed project phase including follow up in the construction phase and claims phase. The contract will also comprise an option on engineering design of user equipment, as well as an option on assistance to the museum's exhibition project. Parallel to the planning and design competition, technical advisers will be contracted through a separate competition. III.1) Criteria for the selection of participants: See the tender documentation. The planning and design competition is open for architects with an approved exam equivalent to Master in architecture/civil architecture and landscape architecture with the exam equivalent to Master in Landscape architecture. It will be the tenderer’s responsibility to document that a foreign degree is equivalent to this level. The Norwegian Architect and Landscape Architect qualification and the degree Master of Architecture as well as Master of landscape architecture is in accordance with EU's professions directive. The above must be documented by negotiations about the engineering design contract (see point 11 in the tender documents). number and value of the prize(s) to be awarded: The jury has up to 3 000 000 NOK for awarding of the winning proposals and to other purchasing. Cf. 10.2.5 Award and Purchasing.